And I'm back again! This time with a new Corrosive Challenge! We have not one, but TWO fabulous sponsors this fortnight AND an awesome new theme that I know a lot of you are going to love! "Color Me Happy" is the challenge for the next two weeks and we want to see your coloring skills with your favorite medium. Break out your Copic markers, your pencils, your water colors! 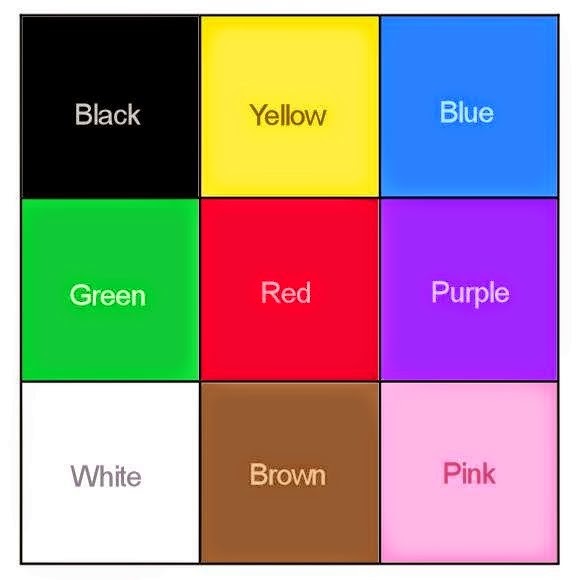 Show us your colors! 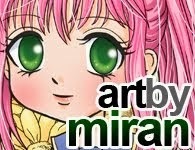 Sponsor #1 is Art by Miran! 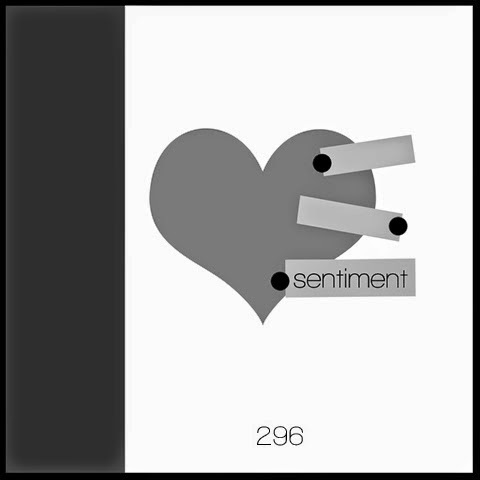 MiRan is offering a prize of 3 digis to our winner and she generously supplied images for the design team to use. I selected Lunar Deity. Copics are my weapon of choice, of course, and she is colored up using them. The papers are from the Dark Romance stack by DCWV. 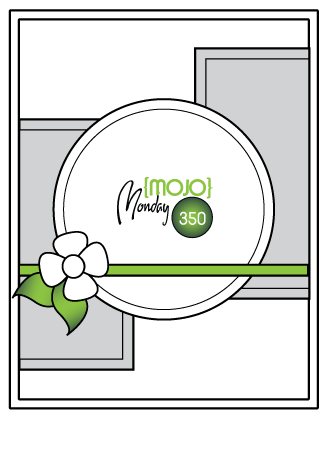 Sketch is courtesy of Mojo Monday (#350). I added grosgrain ribbon, flowers, pearls, a punch butterfly (Martha Stewart), and a sentiment from a retired Stampin' Up set called Quick & Cute. Check out Art by Miran's esty shop HERE. Markers used: Copics (E00, E04, E11, E21, E23, E31, E79, R20, R32, Y28, Y32, Y35, Y38, V04, V06, V12, V15). 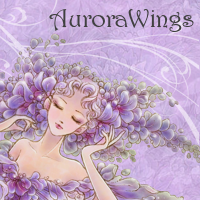 Sponsor #2 is Stamps by Aurora Wings! Mitzi is offering a $10 gift voucher to her store for our winner and also generously provided image to the team. I opted to work with Strawberry Sprite. 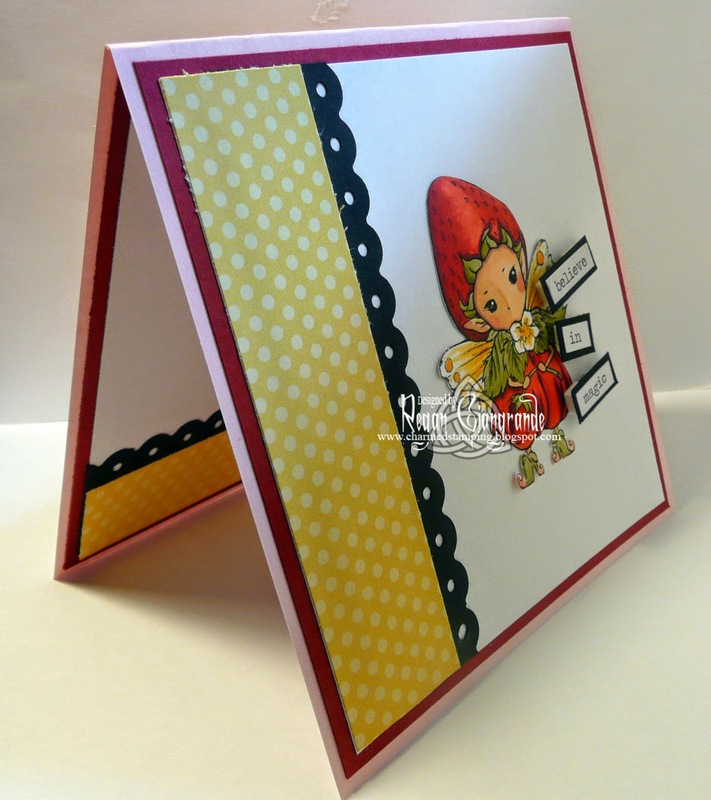 I went clean and simple with this card so that I could play along with the Facebook group challenge, but I have to tell you this is not my preferred style at all. Every time I look at it I have to resist the urge to add STUFF! 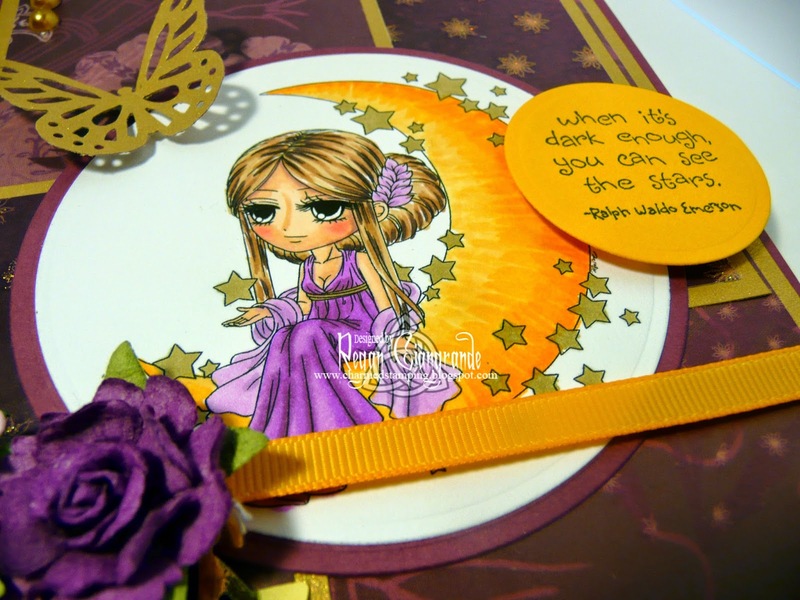 lol As it stands it is just my image, also colored with Copics; a Fiskars border punch; and Chit Chat word stickers from Tim Holtz to create the sentiment. The polka dot paper is from my stash and I don't even know who makes it. 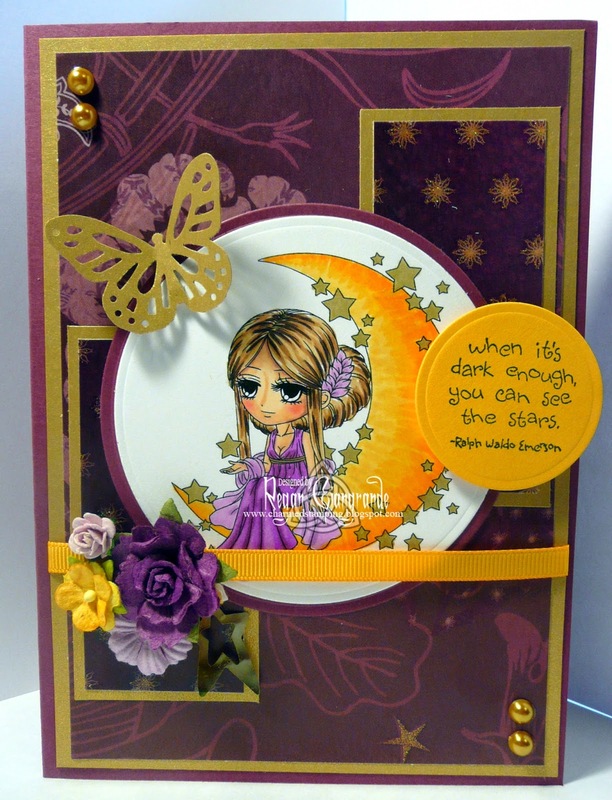 The sketch is from Clean & Simple Stamping (#296). 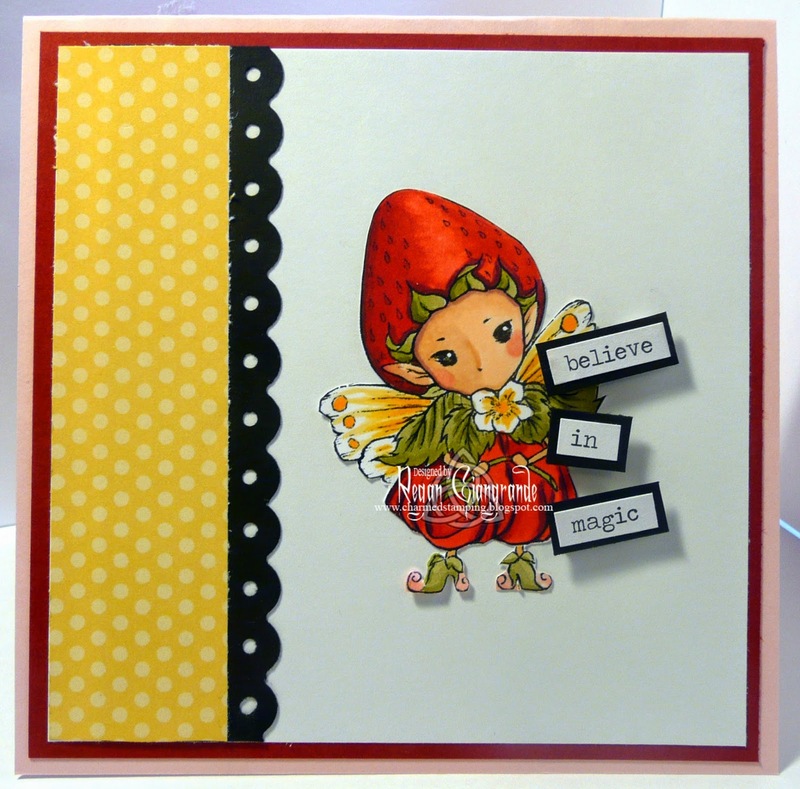 Shop for all the gorgeous Aurora Wings digital images at Mitzi's esty store HERE. Markers used: Copics: (E00, E04, E11, E21, R20, R24, R27, R29, R32, R39, R89, Y23, Y32, Y35, Y38, YG91, YG93, YG95, YG97). I hope you'll play along! No crafting for me today! I am off for a day trip with the small man on this perfect Summer day! We are headed to Edaville USA for a Day Out with Thomas! We went last year and he had a lot of fun! I expect it will be the same today (and I'm sure photos will follow). Enjoy your day and thanks for stopping by! These are simply amazing. 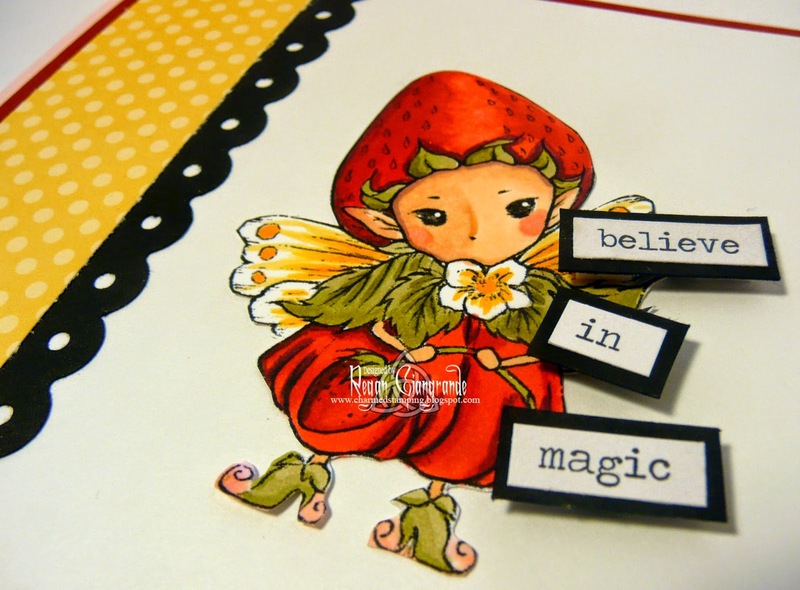 thanks so much for joining us at Art by Miran Challenge blog. Both are really gorgeous. Thanks for joining us at Aurora Wings. Good Luck!